And while it’s true that there are “hot new items” every year, and exciting fun trends, some of the most tried and true products continue to be popular – and it’s for good reason. And nothing is more “tried and true” than writing instruments. In fact, I think perhaps no promotional product is mightier than the pen. Pens are ALWAYS useful, and will never go out of style. Has anyone ever turned down a free pen? While some “freebies” can pile up quickly in a person’s home (I am constantly having to purge mugs and tote bags, much as I love them, because I have too many and they take up too much space) – people always seem to hang onto pens. Pens fill up coffee mugs on desktops, drawers in desks and kitchens and utility rooms, purses and bags. I even have pens stashed in my car! People tend to accept free pens pretty willingly because of their usefulness. But people keep the pens that look and work the best. We’ve all been known to develop our “favorite pen” over the years – and I admit, my favorites tend to be cyclical. But when I have a favorite, it’s the ONLY pen I want to use – and God save the poor sap who steals my favorite from me! 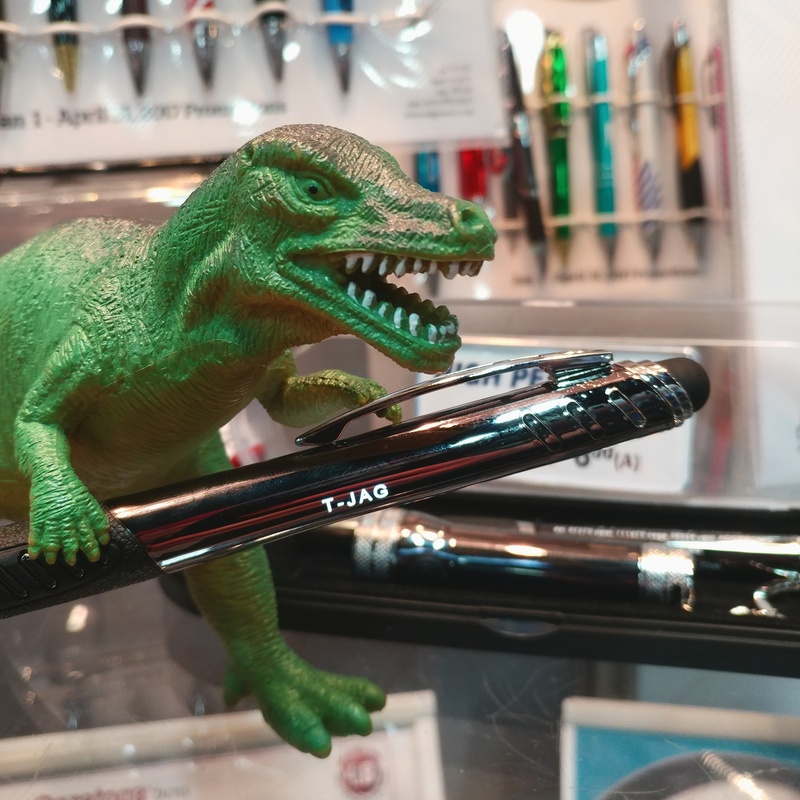 Whether large or small, budget is always something people keep in mind when ordering promotional products — and pens are one of those most easily affordable items. That said, don’t get too cheap with your pens – because, as noted above, people only keep pens if they work well. There are still plenty of great pens available at low price points, though – so just tell us when you’re looking to stay on a tight budget! 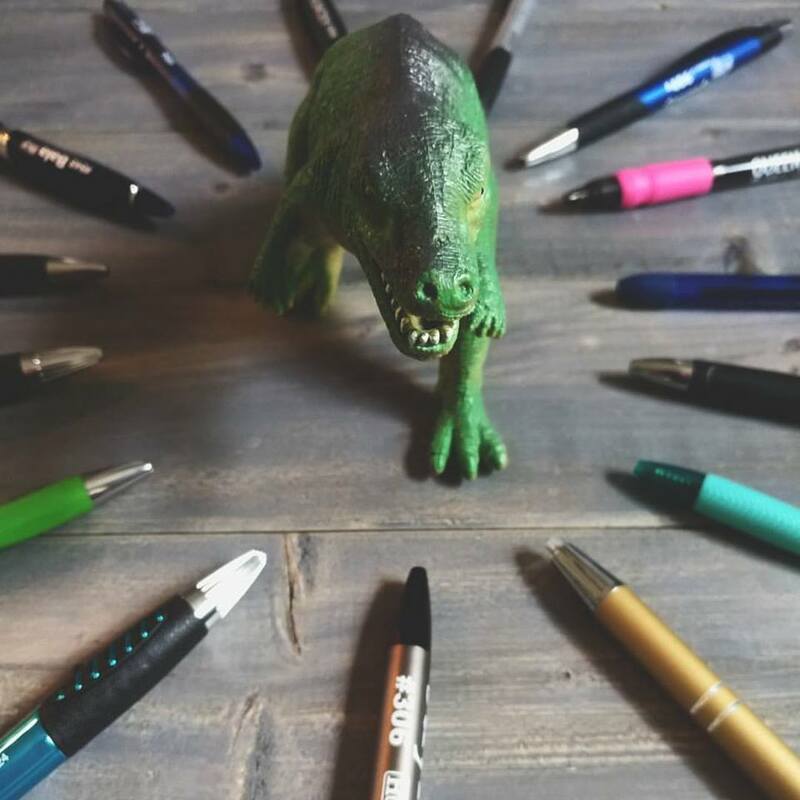 Sure, pens may be basic – but they can’t be beat when it comes to a practical, affordable promotional item that people will KEEP and USE. We have some of our favorite pens. Let us help you find yours.